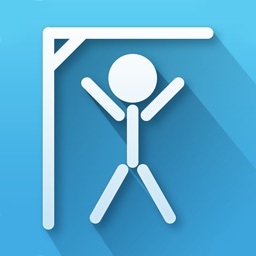 Hangman is based on the popular word guessing game by the same name. 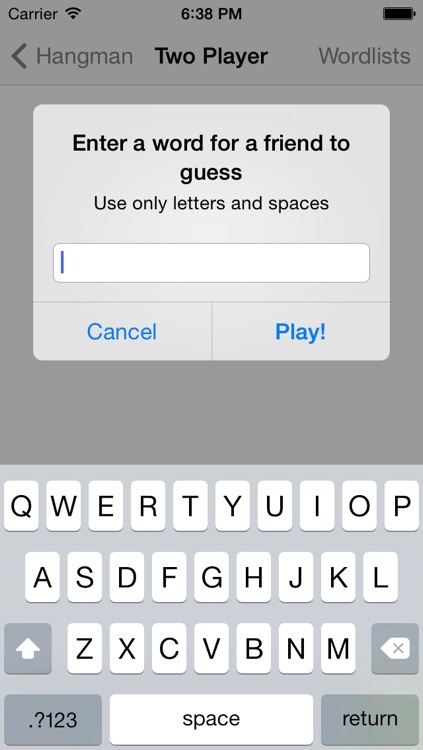 The player guesses letters in order to uncover the hidden word. 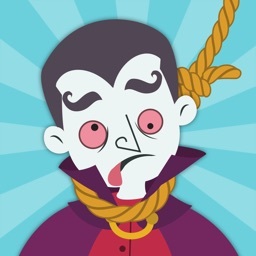 But be careful, you only have a few guesses before you're hanged! 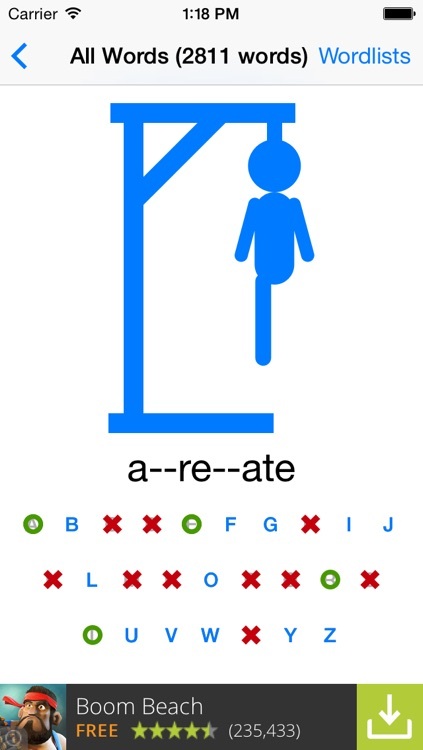 Unlike other versions of Hangman, this one gives the player a few more guesses by building up the gallows as the player guesses, instead of having them pre-built. Two player mode allows you and a friend to play. One person enters a word and the other tries to guess it. 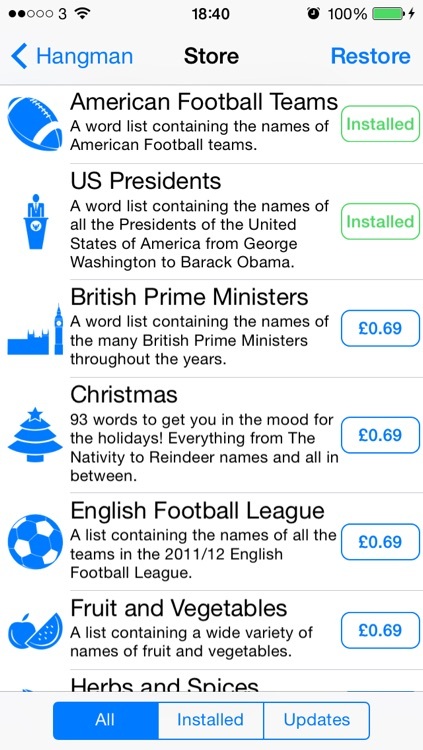 Purchase more wordlists to play with from within the app. 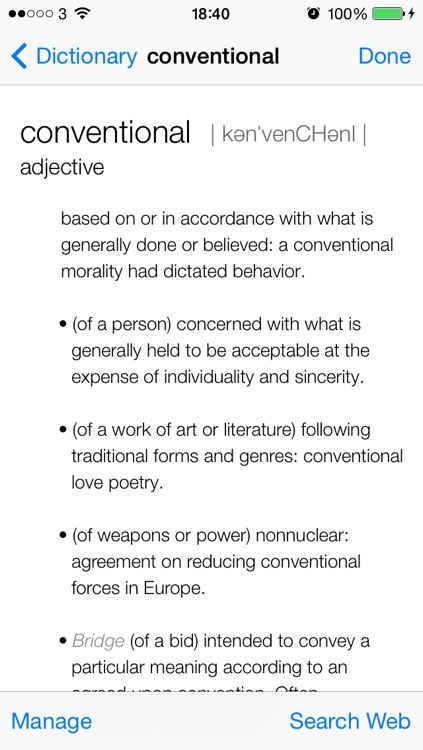 Define a word if you don't understand it, and help yourself or your children learn new words. 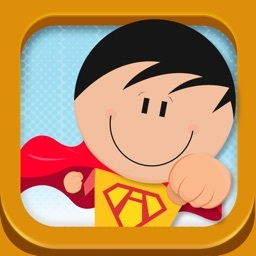 Keep track of your wins / losses, and how many games you've played and earn achievements with Game Center. 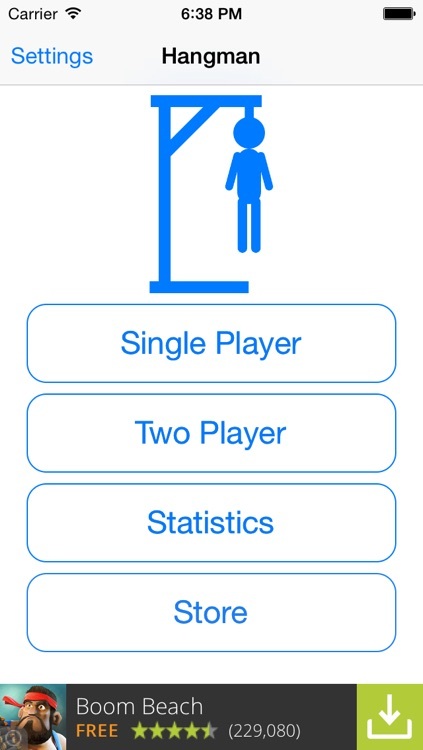 Hangman includes small, unobtrusive ads to help keep it free. Advertising can be removed for a small one-time fee. 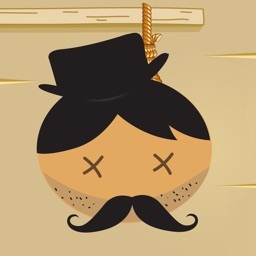 Even if you remove Hangman and download it again in the future you can restore your purchases for no extra cost and remove advertising again. 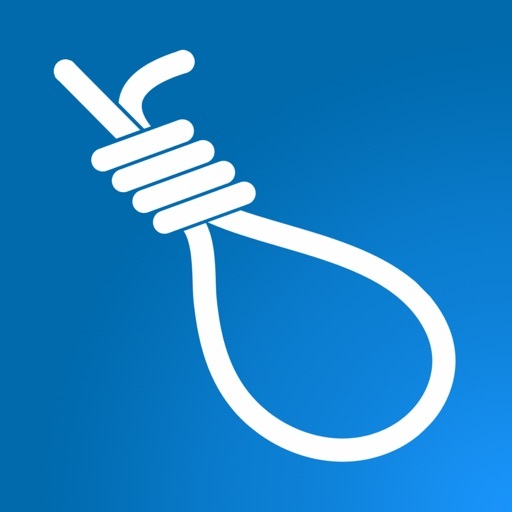 Hangman will connect to the internet once, each time the game is run, in order to download it's advert, which is very very small and will take less than a second. Hangman will also need internet access if you choose to "define a word". Defining words is entirely optional.